Mark Webber says he is glad to be leaving Formula One as "there are more negatives than positives" for him in the sport. 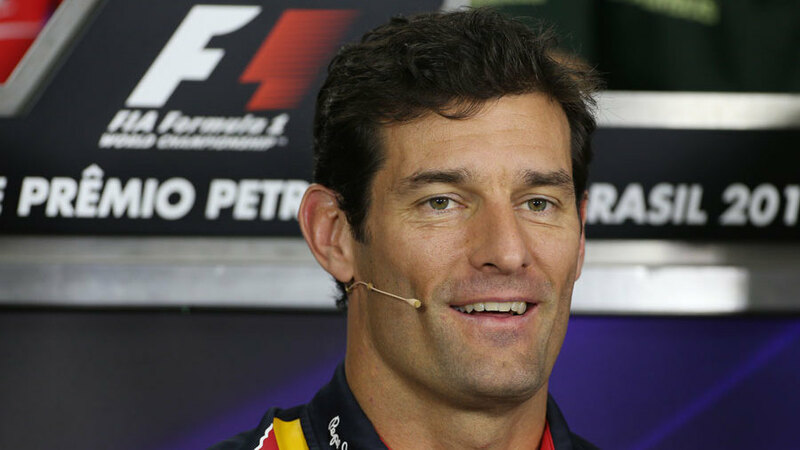 This weekend's Brazilian Grand Prix will be the last race of Webber's Formula One career before he leaves the sport to race for Porsche in the World Endurance Championship. Asked if there were things he would be happy to leave behind, Webber said there were a number of aspects otherwise he would not be switching categories. "I wouldn't be leaving if there weren't things that I'm happy to leave behind," Webber said. "If there are more positives than negatives then obviously I would stay, so there are more negatives than positives. For me it's something that I want, a fresh change, a new chapter in my life. I'm ready for that both personally and professionally." Webber also said he didn't expect it to be an overly emotional weekend for him at Interlagos. "I think on Sunday it'll be a little bit different but it still feels like a normal race at the moment. So I'm looking forward to Sunday in many ways in terms of pushing for a good result, but I'm ready to stop and looking forward to the extended winter that I'll have and the new challenges around the corner. Getting out of the car on Sunday there will be a few things which will be for the last time in terms of Formula One but I'm pretty relaxed at the moment and looking forward to the race."